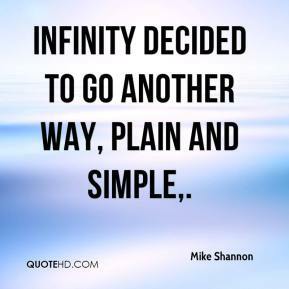 Infinity decided to go another way, plain and simple. I got an e-mail from a guy in Hong Kong, ... I get 'em from Afghanistan. 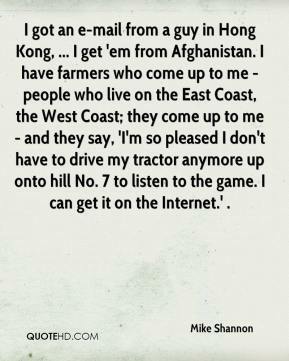 I have farmers who come up to me - people who live on the East Coast, the West Coast; they come up to me - and they say, 'I'm so pleased I don't have to drive my tractor anymore up onto hill No. 7 to listen to the game. I can get it on the Internet.' . 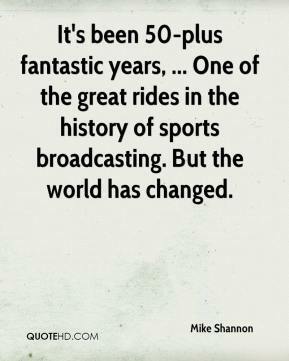 It's been 50-plus fantastic years, ... One of the great rides in the history of sports broadcasting. 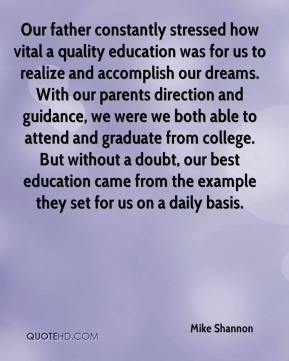 But the world has changed. 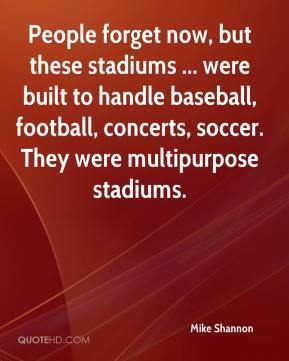 People forget now, but these stadiums ... were built to handle baseball, football, concerts, soccer. They were multipurpose stadiums. These people love this place, OK? They're all saying, 'I don't want to see it go down. What's wrong with this ballpark?' 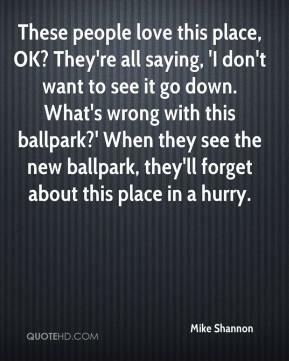 When they see the new ballpark, they'll forget about this place in a hurry. We had our chances but couldn't score. We were very cold from the field.